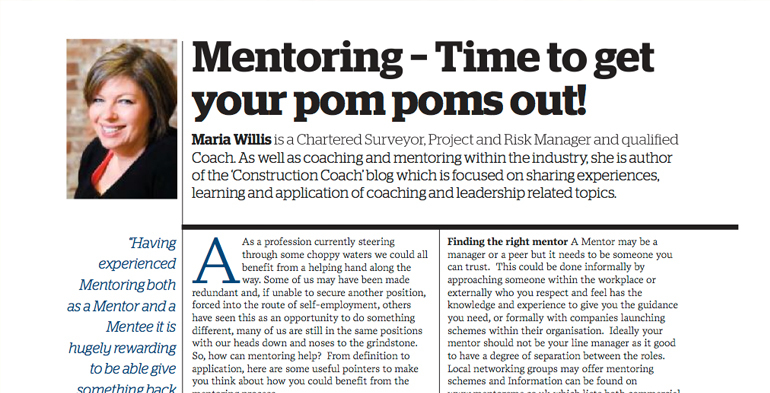 Mentoring – Time to get your pom poms out! Maria Willis is a Chartered Surveyor, Project and Risk Manager and qualified Coach. As well as coaching and mentoring within the industry, she is author of the ‘Construction Coach’ blog which is focused on sharing experiences, learning and application of coaching and leadership related topics.